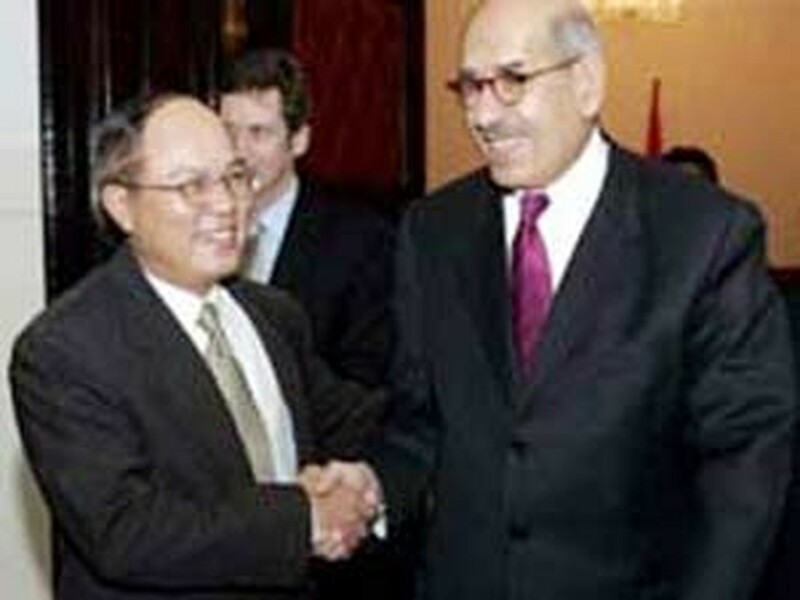 Deputy Foreign Minister Le Van Bang (L) shakes hands with IAEA General Director Mohamed ElBaradei in Hanoi. The International Atomic Energy Agency (IAEA) will carry out solutions to help Viet Nam develop atomic energy and ensure conformity to international treaties on the issue, said the agency’s General Director during his visit to Viet Nam. In his three-day visit from December 9-11, IAEA General Director Mohamed El Baradei and his delegation joined meetings with many leaders of the Vietnamese Ministries of Foreign Affairs, Science and Technology, Health, Industry and the Vietnam Atomic Energy Institute. The IAEA said it will carry out a plan to help Viet Nam do research on and develop atomic power as well as promote a program that uses nuclear technology to prevent and treat cancer. According to the agency, Viet Nam is the only Asian country and one of the six countries in the world that receive sponsor from the Nobel Peace Prize 2005 for the program. At the meetings with Vietnamese counterparts, Mr. Mohamed El Baradei said he highly appreciated the cooperation between Viet Nam and the IAEA during the past years and he also welcomed the country’s recent decision to sign with IAEA the Additional Protocol to the Nuclear Safeguards Agreement. In addition, he highly valued the Vietnamese government’s ratification of the Treaty of Comprehensive Nuclear Test Ban and its agreement to shift fuel used at the Da Lat Nuclear Research Reactor. Viet Nam joined the IAEA in 1978 and has actively cooperated with the agency as well as received its assistance in many projects of technological cooperation, staff training and building laboratories.